Sibley Forest's main attraction is the beauty of the houses you see as you traverse our neighborhood. Residents take care of their homes, maintain their properties and keep things esthetically pleasing. The founders of our community knew they could ensure home values would hold and increase by putting architectural covenants in place. These rules provide a consistent rule through the neighborhood about appearance, level of maintenance, outside structures and other residential attributes. An architectural body, called the Architectural Control Committee (ACC) was created to oversee any modifications to lots. This organization is run by neighbors who volunteer their time to maintain the quality of homes in Sibley Forest. “No Owner, Occupant, or any other person may without first obtaining written approval of the Architectural Control Committee (ACC): make any exterior change, alteration or construction on a Lot or Dwelling (including painting a different color than currently used, re-grading or significant landscaping modifications as defined in the sole discretion of the ACC) or any alteration of the lot or Dwelling which affects the exterior appearance of the Lot or Dwelling." 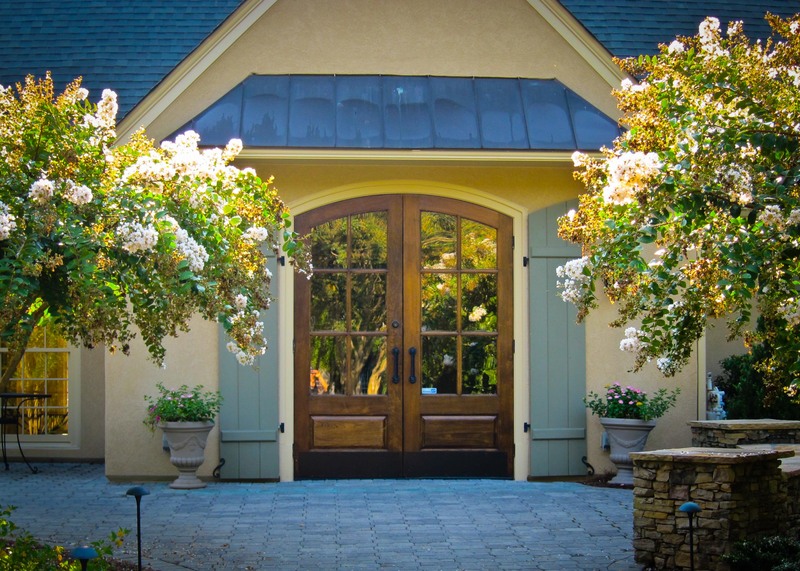 Before starting any exterior modification to your property (including major landscaping changes), you must file a Property Modification Application (PMA) to obtain written approval from the ACC. The ACC will return one copy of the application to you, marked with one of the following: "approved, approved with conditions, or disapproved." The ACC will retain one copy of the Application for its records and each homeowner should keep their marked copy. The ACC will review your application promptly, but may need up to fourteen (14) days for major modifications. Please SUBMIT the Application IN DUPLICATE to any ACC member, and confirm the date of receipt. The ACC recommends that you discuss your proposal with all property owners who will be able to see the modification from their property. Please note, in particular, satellite dish placement requires a notice to your ACC committee. The ACC notice will explain preferred locations. In the rare occasion where an application is disapproved, the homeowner is encouraged to discuss the application with the ACC to determine what needs to be done to comply with the Exterior Guidelines. The ACC will also review complaints if you believe a neighbor’s property is not in conformance with the Exterior Guidelines. However, please discuss the issue with the neighbor first, and attempt to resolve the issue without ACC intervention. Enforcement can include removal and restoration at the owners cost. Click here for Sibley Forest Architectural and Appearance Guidelines.